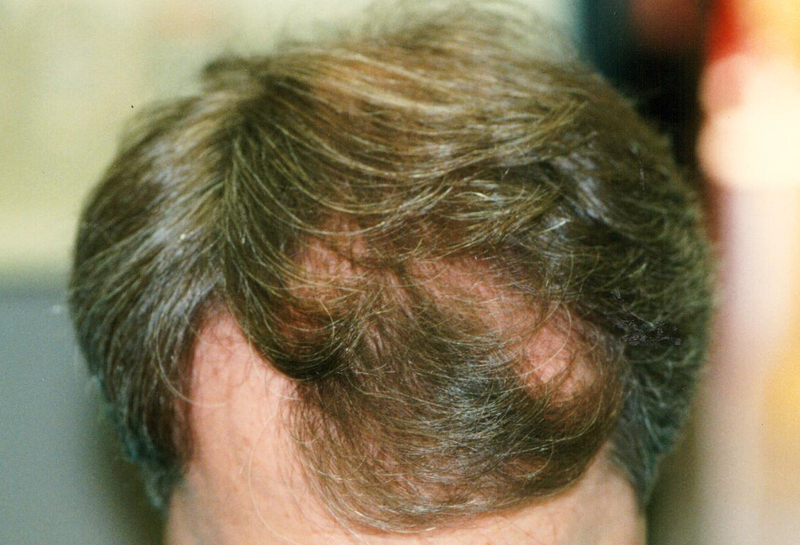 Often, hair loss forum visitors want to see a hair transplant done many years ago. Our patient pictured here visited Dr. Cole back in 1997… 20 years ago. This was when Dr. Cole was still performing (FUT) strip surgery. Our patient didn’t return for any followup photos and it has been 20 years since we have seen him last. 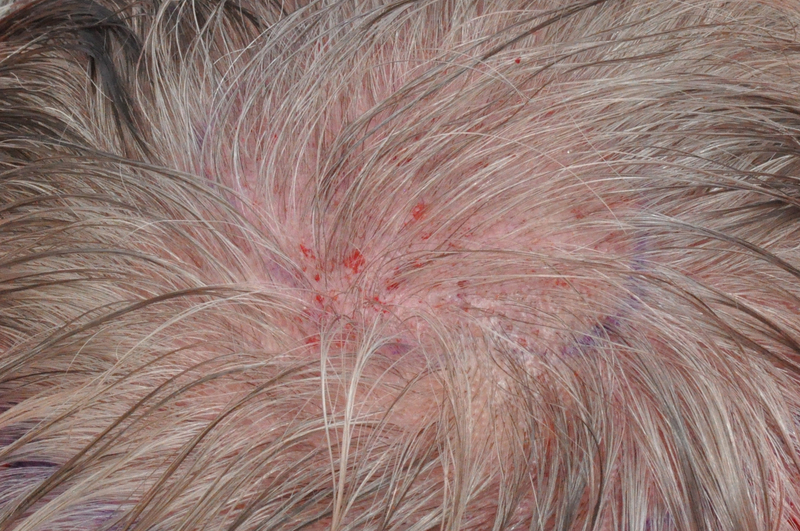 Today he was in for an additional 410 grafts. 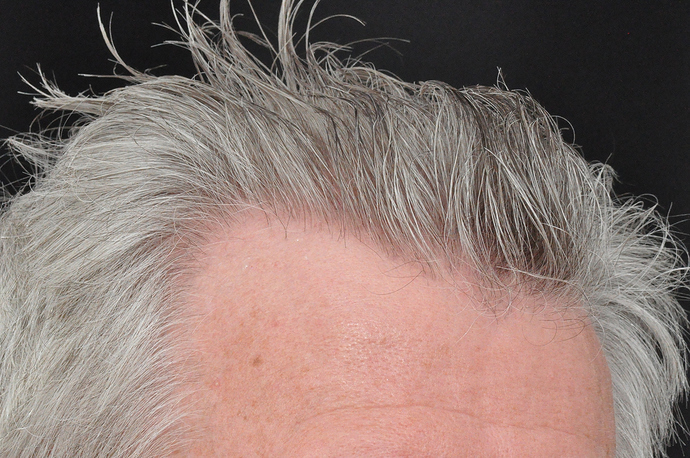 His strip scar from 20 years ago is barely visible when his hair is long (see photo). As with all strip scars, if he shaved his head you would be able to see it. Dr. Cole has been creating natural results for over 20 years, back when some doctors were still placing plugs and mini-grafts. 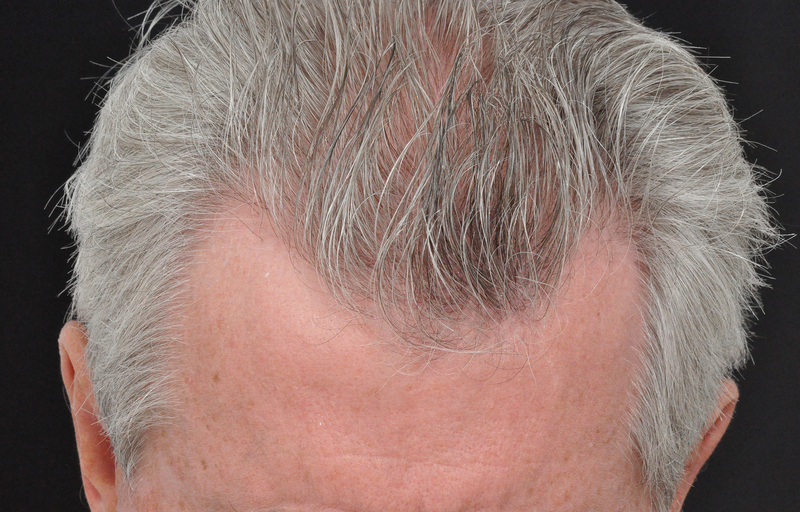 Dr. Cole made the transition from strip surgery to FUE in around 2002. I suppose these are before and after pictures from the strip surgery he did 20 years ago? Yes. Our patient hadn’t been back to our office in 20 years. He came in yesterday for 450 grafts to his crown. Good to see that it is holding up nicely after 20 years, do you know if he has been using finasteride all this time? Good question. 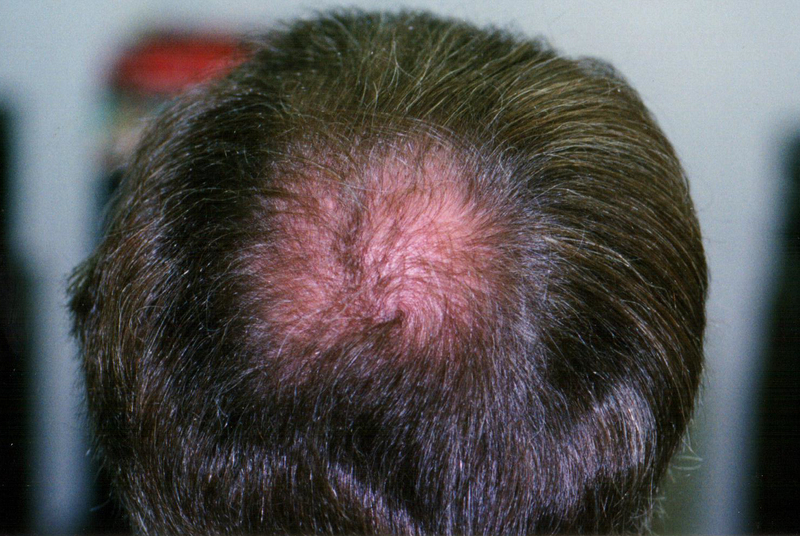 There is always the debate as to whether guys should go for hair transplant if they are not planning to take finasteride for life. Yes, our patient does currently use Propecia. Not sure if he has been using it for last 20+ years or not. 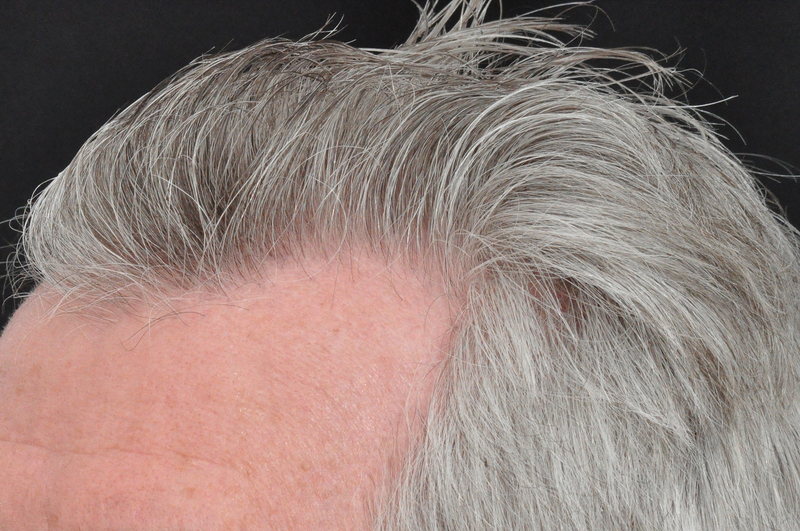 After meeting so many patients over the years, here are some of my observations; Patients who have been taking finasteride or dutasteride appear to have a better fatty (adipose) layer under their scalp where MPB normally occurs. An article I read today stated; “Recent studies showed that DHT could play a role in the metabolism of visceral fat”. Visceral fat is body fat stored within the abdominal cavity and is therefore stored around a number of important internal organs. Perhaps DHT attacks the fatty layer in genetically predetermined areas of the scalp in men who inherited MPB. 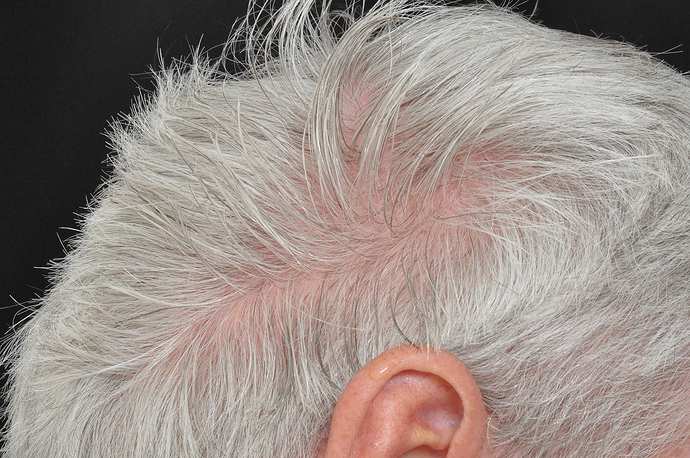 Notice how “cushy” your scalp is in the more permanent areas of hair growth like the back and sides of your head. 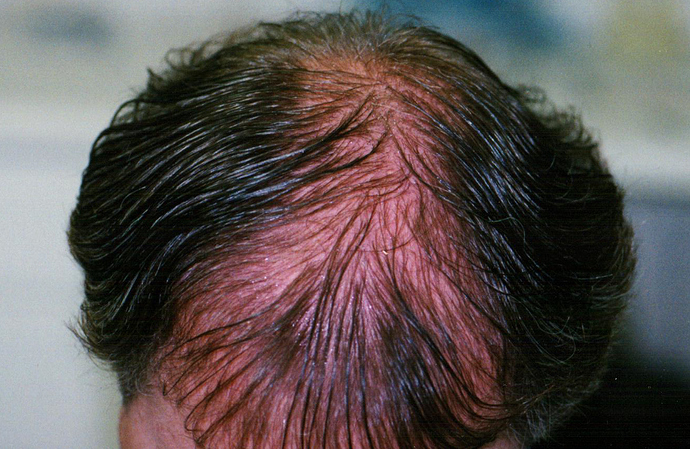 Then notice how balding areas feel more like skin stretched over bone. 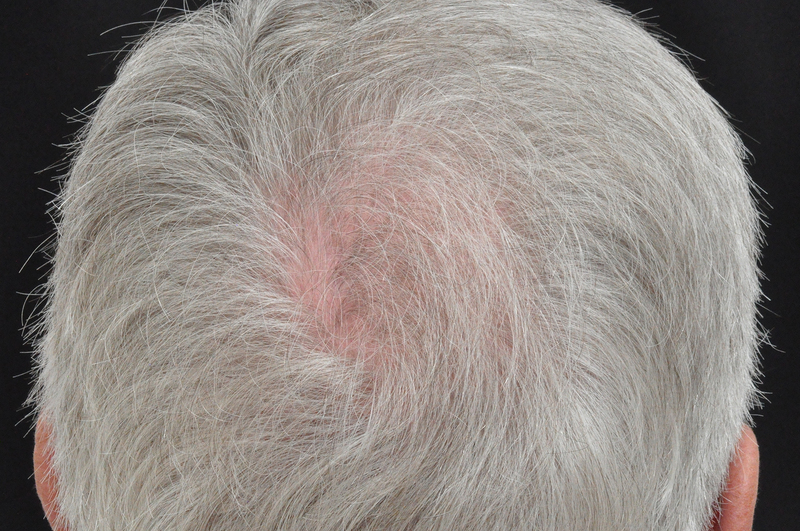 Valerie Horsley commented after her hair loss study, that she believes the fatty layer signals blood platelets to release growth factors. IMO, it would be great to find a way to increase the adipose layer in the balding areas without neutralizing DHT.